- Direct Observation and Analysis of the Halo-Amino-Nitro Alkane Functional Group. Crocker, M.; Foy, H.; Tokumaru, K.; Dudding, T.; Pink, M.; Johnston, J. Chem., 2019, ASAP. - Selective Aerobic Oxidation of Benzylic Alcohols Catalyzed by a Dicyclopropenylidene-Ag(I) Complex. Mir, R.; Rowhsanpour, R.; Dempsey, K.; Pilkington, M.; Dudding T. J. Org. Chem., 2019, ASAP. - A mechanistic study of oxygen atom transfer from N-sulfonyloxaziridine to enolates. Foy, H.; Schwan, A.; Dudding, T. Tetrahedron, 2019, 75, 2056-2061. - Cyclopropenium Enhanced Thiourea Catalysis. Smajlagic, I.; Duran, R.; Pilkington, M.; Dudding, T. J. Org. Chem., 2018, 83, 13973-13980. - Synthesis of α‑Borylated Ketones by Regioselective Wacker Oxidation of Alkenylboronates. Corless, V.; Holownia, A.; Foy, H.; Mendoza-Sanchez, R.; Adachi, S.; Dudding, T.; Yudin, A. Org. Lett., 2018, 20, 5300 - 5303. - Amine hemilability enables boron to mechanistically resemble either hydride or proton. Lee, F.; Diaz, D.; Holownia, A.; Kaldas, S.; Liew, S.; Garrett, G.; Dudding, T.; Yudin, A. Nat. Chem., 2018​, 10, 1062-1070. ​- A Mechanistic Model for the Aziridine Aldehyde-driven Macrocyclization of Peptides. Belding, L.; Zaretsky, S.; Yudin, A. K.; Dudding, T. J. Org. Chem. 2018, 83, 9119-9124. - Fluorescence of Cyclopropenium Ion Derivatives. Belding, L.; Guest, M.; Le Sueur, R.; Dudding, T. J. Org. Chem. 2018, 83, 6489-6497. - Expanding the repertoire of cyclopropenium ion phase transfer catalysis: Benzylic fluorination. Dempsey, K.; Mir, R.; Smajlagic, I.; Dudding, T. Tetrahedron. 2018, 74, 3507-3511. - Bis (amino) cyclopropenium Trifluoroborates: Synthesis, Hydrolytic Stability Studies, and DFT Insights. Mir, R.; Dudding, T. J. Org. Chem. 2018, 83, 4384-4388. - Zinc-Catalyzed Hydrosilylation and Hydroboration of N-Heterocycles. Lortie, J.L. ; Dudding, T.; Gabidullin, B.M. ; Nikonov, G.I. ​ACS. Catal. 2017, 7, 8454-8459. - Phase-Transfer Catalyzed O-Silyl Ether Deprotection Mediated by a Cyclopropenium Cation. Mir, R.; Dudding, T. J. Org. Chem. 2017, 82, 709-714. - Investigation of a new chiral auxiliary derived chemoenzymatically from toluene: experimental and computational study. Snajdr, I.; Froese, J.; Dudding, T.; Horakova, P.; Hudlicky, T. Can. J. Chem. 2016, 94, 848-856. - Unique molecular geometries of reduced 4-and 5-coordinate zinc complexes stabilised by diiminopyridine ligand. Chu, T.; Belding, L.; Poddutoori, P. K.; van der Est, A.; Dudding, T.; Korobkov, I.; Nikonov, G. I. Dalton Trans. 2016, 45, 13440-13448. - A Au(I)-Precatalyst with a Cyclopropenium Counterion: An Unusual Ion Pair. Mir, R.; Dudding, T. J. Org. Chem. 2016, 81, 2675-2679. - An Evolving Insight into Chiral H-Bond Catalyzed Aza-Henry Reactions: A Cooperative Role for Noncovalent Attractive Interactions Unveiled by Density Functional Theory. Taimoory, S. M.; Dudding, T. J. Org. Chem. 2016, 81, 3286-3295. - Phase-Transfer Catalysis via a Proton Sponge: A Bifunctional Role for Biscyclopropenimine. Belding, L. Stoyanov, P. Dudding, T. J. Org. Chem. 2016, 81, 553-558. - Synthesis, Theoretical Analysis, and Experimental pKa Determination of a Fluorescent, Nonsymmetric, In Out Proton Sponge. Belding, L. Stoyanov, P. Dudding, T. J. Org. Chem. 2016, 81, 6-13. - Enantioselective synthesis of mosquito oviposition pheromone and its epimer from a naturally occurring fatty acid. Hurem, D.; Dudding, T. RSC Advances, 2015, 5, 101732-101739. 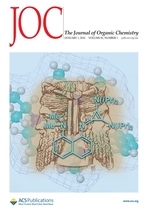 - Design and synthesis of a chiral seven-membered ring guanidine organocatalyst applied to asymmetric vinylogous aldol reactions.Mirabdolbaghi, R.; Hassan, M.; Dudding, T. Tetrahedron: Asymmetry 2015, 26, 560-566. - Expanding the Forefront of Strong Organic Bronsted Acids: Proton Catalyzed Hydroamination of Unactivated Alkenes and Activation of Au(I) for Alkyne Hydroamination. Mirabdolbaghi, R.; Dudding, T. Org. Lett. 2015, 17, 1930-1933. - Mirroring Enzymes: The Role of Hydrogen Bonding in an Asymmetric Organocatalyzed Aza Henry Reaction - a DFT Study. Belding, L.; Taimoory, S. M.; Dudding, T. ACS Catal. 2014, 5, 343-349. - Shifting the Energy Landscape of Multicomponent Reactions Using Aziridine Aldehyde Dimers: A Mechanistic Study. Belding, L.; Zaretsky, S.; Rotstein, B. H.; Yudin, A. K.; Dudding, T. J. Org. Chem. 2014, 79, 9469-9471. - Hydroxyproline-Derived Pseudoenantiomeric [2.2.1] Bicyclic Phosphines: Asymmetric Synthesis of (+)- and (-)-Pyrrolines. Henry, C. E.; Xu, Q.; Chio Fan, Y.; Martin, T. J.; Belding, L.; Dudding, T.; Kwon, O. J. Am. Chem. Soc.2014, 136, 11890-11893. - A Class of Phase-Transfer Catalyst with Interionic Strain: Insight into the Bonding of Disubstituted N- vs Carbene-Stabilized NI-Centered Cations. Mirabdolbaghi, R.; Dudding, T. Org. Lett. 2014, 16, 2790-2793. - Diastereodivergent total synthesis of mosquitooviposition pheromone. Hurem, D.; Dudding, T. RSC Adv. 2014, 4, 15552-15557. - A Coordination Compound of Ge0 Stabilized by a Diiminopyridine Ligand. Chu, T.; Belding, L.; van der Est, A.; Dudding, T.; Korobvoc, I.; Nikonov, G. Angew. Chimie Int. Ed. 2014, 53, 2711-2715. - Synthesis and Theoretical Investigation of a 1,8-Bis(bis(diisopropylamino)cyclopropeniminyl)naphthalene Proton Sponge Derivative. Belding, L.; Dudding, T. Chem. Eur. J. 2014, 20, 1032-1037. - A Computational Study of the Copper(II)-Catalyzed Enantioselective Intramolecular Aminooxygenation of Alkenes. Belding, L.; Chemler, S. R.; Dudding, T. J. Org. Chem. 2013, 78, 10288–10297. - A Detailed NMR- and DFT-Based Study of the Sakurai-Hosomi-Yamamoto Asymmetric Allylation Reaction. Hurem, D.; Moiseev, A. G.; Simionescu, R.; Dudding, T. J. Org. Chem. 2013, 78, 4440-4445. - A synthetic route to chiral C(3)-functionalized phthalides via a Ag(I)-catalyzed allylation/transesterification sequence. Mirabdolbaghi, R.; Dudding, T. Tetrahedron 2013, 69, 3287-3292. - Reversal of Stereoselectivity in Lithiation of Ferrocenyl-imidazolones: Epimeric Substrates lead to Planar Chiral Enantiomers. Metallinos, C.; John, J.; Nelson, J.; Dudding, T.; Belding, L. Adv. Synth. Catal. 2013, 335, 1211-1219. - The application of D-Chiro-inositol as a chiral template for the Diels-Alder reaction. Trant, J. F.; Belding, L.; Dudding, T.; Hudlicky, T. Helvetica Chimica Acta. 2012, 95, 2026-2035. - An Indium-mediated allylative/transesterification DFT-directed approach to chiral C(3)-functionalized phthalides. Mirabdolbaghi, R.; Dudding, T. Org. Lett. 2012, 14, 3748-3751. - Studies on the ring opening reactions of 3-oxa-1-azabicyclo[3.1.0]hexan-2-ones. Synthesis of aminomethyl oxazolidinones and aziridinyl ureas. Wells, G. M.; Dudding, T.; Belding, L.; Frick, A. J.; Nayek, A.; Huang, J.; Katz, S. J; Bergmeier, S. C. Tetrahedron 2012, 68, 3980-3987. - Characterization of highly unusual NH-O hydrogen bonding to ester ether oxygen atoms through spectroscopic, kinetic and computational studies. Scerba, M. T.; Deblase, A. F.; Bloom, S.; Dudding, T. C.; Johnson, M. A.; Lectka, T. J. Phys. Chem. A. 2012, 116, 3556-3560. - A catalytic asymmetric approach to C1-chiral 3-methylene-indan-1-ols. Mirabdolbaghi, R.; Dudding, T. Tetrahedron 2012, 68, 1988-1991. - Evidence for alkene cis-aminocupration, an aminooxygenation case study: Kinetics, EPR spectroscopy and DFT calculations. Paderes, M. C.; Belding, L.; Fonovic, B.; Dudding, T.; Keister, J. B; Chemler, S. R. Chem. - Eur. J. 2011, 18, 1711-1726. - Directed ortho,ortho'-dimetalation of hydrobenzoin: Rapid access to hydrobenzoin derivatives useful for asymmetric synthesis. Cho, I.; Meimetis, L.; Belding, L.; M. J. Katz; Dudding, T.; Britton, R. Beilstein J. Org. Chem. 2011, 7, 1315-1322. - From bifunctional to trifunctional (tricomponent nucleophile-transition metal-Lewis acid) catalysis: The catalytic, enantioselective a-fluorination of acid chlorides. Erb, J.; Paull, D. H.; Dudding, T.; Belding, L.; Lectka, T. J. Am. Chem. Soc. 2011, 133, 7536-7546. - NHC-catalyzed intramolecular redox amidation for the synthesis of functionalized lactams: Evidence of hydrogen bonding co-catalysis. Thai, K.; Wang, L.; Dudding, T.; Bilodeau, F.; Gravel, M. Org. Lett. 2010, 12, 5708-5711. - Asymmetric lithiation of boron trifluoride-activated aminoferrocenes: An experimental and computational investigation. Metallinos, C.; Zaifman, J.; Dudding, T.; Van Belle, L.; Taban, K. Adv. Synth. & Catal. 2010, 352, 1967-1982. - Desymmetrizations forming tetrasubstituted olefins using enantioselective olefin metathesis. Stenne, B.; Timperio, J.; Savoie, J.; Dudding, T.; Collins, S. K. Org. Lett. 2010, 12, 2032-2035. - The enzymatic cleavage of Si-O bonds: A kinetic analysis of the biocatalyzed hydrolysis of phenyltrimethoxysilane. Frampton, M. B.; Simionescu, R.; Dudding, T.; Zelisko, P. M. J. Molecular Catalysis B: J. Mol. Catal. B: Enzym. 2010, 66, 105-112. - Incorporation of 2,3-disubstituted-1,4-naphthoquinones into the A1 binding site of photosystem I studied by EPR and ENDOR spectroscopy. van der Est, A.; Pushkar, Y.; Karyagina, I.; Fonovic, B.; Dudding, T.; Niklas, J.; Lubitz, W.; Golbeck, J. H. Appl. Magn. Reson. 2009, 37, 65-83. - New options for the reactivity of the Burgess reagent with epoxides in both racemic and chiral auxiliary modes - structural and mechanistic revisions, computational studies, and application to synthesis. Leisch, H.; Sullivan, B.; Fonovic, B.; Dudding, T.; Hudlicky, T. Eur. J. Org. Chem. 2009, 17, 2806-2819. - Inverse temperature dependence in the diastereoselective addition of Grignard reagents to a tetrahydrofurfural. Mowat, J.; Kang, B.; Fonovic, B.; Dudding, T.; Britton, R. Org. Lett. 2009, 11, 2057-2060. - A surprising mechanistic 'switch' in Lewis acid activation: A bifunctional, asymmetric approach to a-hydroxy acid derivatives. Abraham, C. J.; Paull, D. H.; Bekele, T.; Scerba, M. T.; Dudding, T.; Lectka, T. J. Am. Chem. Soc. 2008, 130, 17085-17094. - Origin of enantioselection in hetero-Diels-Alder reactions catalyzed by naphthyl-TADDOL. Anderson, C. D.; Dudding, T.; Gordillo, R; Houk, K. N. Org. Lett. 2008, 10, 2749-2752. - Theory-guided design of Bronsted acid-assisted phosphine catalysis: synthesis of dihydropyrones from aldehydes and allenoates. Creech, G.S. ; Zhu, X.F. ; Fonovic, B.; Dudding, T.; Kwon, O. Tetrahedron 2008, 64, 6935-3942. - Phosphine triggered [3 + 2] allenoate-acrylate annulation: A mechanistic enlightenment. Mercier, E.; Fonovic, B.; Henry, C.; Kwon, O.; Dudding, T. Tetrahedron Lett. 2007, 48, 3617-3620. - A mechanistic study on the catalytic, asymmetric α-bromination of acid chlorides. Dogo-Isonagie, C; Bekele, T.; France, S.; Wolfer, S.; Weatherwax, A.; Taggi, A. E.; Paull, D. H.; Dudding, T.; Lectka, T. Eur. J. Org. Chem. 2007, 7, 1091-1100. - Hydrogen-bonding catalysis induces a change in mechanism of polar Diels-Alder reactions. Gordillo, R; Dudding, T.; Anderson, C. D.; Houk, K. N. Org. Lett. 2007, 9, 501-503. - An Experimental and theoretical study of the asymmetric lithiation of 1,2,3,5,6,7-hexahydro-3α,4α-diazacyclopenta[def]phenanthren-4-one. Metallinos, C.; Dudding, T.; Zaifman, J.; Chaytor, J. L.; Taylor, N. J. J. Org. Chem. 2007, 72, 957-963. - Trypsin-catalyzed cross-linking of α,ω;-triethoxysilyl-terminated polydimethylsiloxane: an experimental and computational approach. Zelisko, P. M.; Dudding, T.; Amelien, K. R.; Stanisic, H. Polymer Preprints 2007, 48, 984. - Theoretical rationale for regioselection in phosphine catalyzed allenoate additions to acrylates, imines and aldehdyes. Dudding, T.; Kwon, O.; Mercier, E. Org. Lett. 2006, 8, 3643-3646. - Phosphine-Catalyzed Synthesis of 1,3-Dioxan-4-ylidenes. Zhu, X-F; Henry, C. E.; Wang, J.; Dudding, T.; Kwon, O. Org. Lett. 2005, 7, 1387-1390. - Computational Predictions of Stereochemistry in Asymmetric Thiazolium and Triazolium Catalyzed Benzoin Condensations. Dudding, T.; Houk, K. N. Proc. Natl. Acad. Sci. U.S.A. 2004, 101, 5770-5775. - A Multistage, One-Pot Procedure Mediated by a Single Catalyst: A New Approach to the Catalytic Asymmetric Synthesis of Alpha-Amino Acids. Hafez, A. M.; Dudding, T.; Wagerle, T. R.; Shah, M. H.; Taggi, A. E.; Lectka, T. J. Org. Chem. 2003, 68, 5819-5825. - Molecular Mechanics Calculations as Predictors of Enantioselectivity for Chiral Nucleophile Catalyzed Reactions. Taggi, A. E.; Hafez, A. M.; Dudding, T.; Lectka, T. Tetrahedron 2002, 58, 8351-8356. - A Structure-Activity Study of Spermicidal and anti-HIV properties of Hydroxylated Cationic Surfactants. Wong, Yue Ling; Hubieki, M.; Curfman, C. L.; Doncel, G. F.; Dudding, T. C.; Savle, P. S.; Gandour, R. D. Bioorganic & Medicinal Chemistry 2002, 10, 3599-3608. - A Catalyst that Plays Multiple Roles: Asymmetric Synthesis of -Substituted Aspartic Acid Derivatives through a Four-Stage, One-Pot Procedure. Dudding, T.; Hafez, A. M.; Taggi, A. E.; Wagerle, T. R.; Lectka, T. Org. Lett. 2002, 4, 387-390. - Catalytic, Enantioselective Alkylation of -Imino Esters Derivatives. Ferraris, D.; Young, B.; Cox, C.; Dudding, T.; Drury, W.J. III; Ryzhkov, L.; Taggi, A. E.; Lectka, T. J. Am. Chem. Soc. 2002, 124, 67-77. - Spermicidal, Anti-HIV, and Micellar Properties of Di- and Trihydroxylated Cationic Surfactants. Wong, Yue-Ling; Curfman, C. L.; Doncel, G. F.; Hubieki, M. P.; Dudding, T. C.; Savle, P. S.; Gandour, R. D. Tetrahedron 2002, 58, 45-54. - Asymmetric Catalysis on Sequentially-linked Columns. Hafez, A. M.; Taggi, A. E.; Dudding, T.; Lectka, T. J. Am. Chem. Soc. 2001, 123, 10853-10859. - Base- and Acid-catalyzed Interconversions of O-acyl- and N-acyl-ethanolamines: A Cautionary Note for Lipid Analysis. Markey, S. P.; Dudding, T.; Wang, Tao-Chin L. J. Lipid Research 2000, 41, 657-662. - Catalytic, Enantioselective Alkylation of N,O- and N,N-Acetals and Hemiacetals. Ferraris, D.; Young, B.; Dudding, T.; Drury, W. J. III; Lectka, T. Tetrahedron 1999, 55, 8869-8882. - Catalytic Enantioselective Alkylation Reactions of N,O-Acetals. Ferraris, D.; Young, B.; Dudding, T.; Drury, W. J. III; Lectka, T. J. Org. Chem. 1999, 64, 2168-2169. - Diastereo- and Enantioselective Alkylation of Alpha-Imino Esters with Cyclic Enol Silanes Catalyzed by (R)-Tol-BINAP-CuClO4•(MeCN)2. Ferraris, D.; Young, B.; Cox, C.; Drury, W. J. III; Dudding, T.; Lectka, T. J. Org. Chem. 1998, 63, 6090-6091. - Catalytic, Enantioselective Alkylation of Alpha-Imino Esters Using Late Transition Metal Phosphine Complexes as Catalysts. Ferraris, D.; Young, B.; Dudding, T.; Lectka, T. J. Am. Chem. Soc. 1998, 120, 4548-4549. - Use of pH-Zone-Refining Countercurrent Chromatography to Separate 2- and 6-Nitro-4-Chloro-Methoxybenzoic Acid. Dudding, T. C.; Mekonnen B.; Ito,Y. ; Ziffer, H. J. Liq. Chrom. & Rel. Technol. 1998, 21, 195-201. - Oxidation of 2-Methoxynaphthlene by Toluene, Naphthalene and Biphenyl Dioxygenases: Structure and Absolute Stereochemistry of Metabolites. Whited, G. M.; Downie, J. C.; Hudlicky, T.; Fearnley, S. P.; Dudding, T. C.; Oliva, H. F.; Parker, D. Bioorganic & Medicinal Chemistry 1994, 2, 727-734. - Microbial Oxidation of Aromatics in Enantiocontrolled Synthesis. Part 1. Expedient and General Asymmetric Synthesis of Inositols and Carbohydrates via an Unusual Oxidation of a Polarized Diene with Potassium Permanganate. Hudlicky, T.; Mandel, M.; Rouden, J.; Lee, R. S.; Bachmann, B.; Dudding, T. C.; Yost, K. J.; Merols, J. S. J. Chem. Soc., Perkin1 1994, 2, 1553-1567.